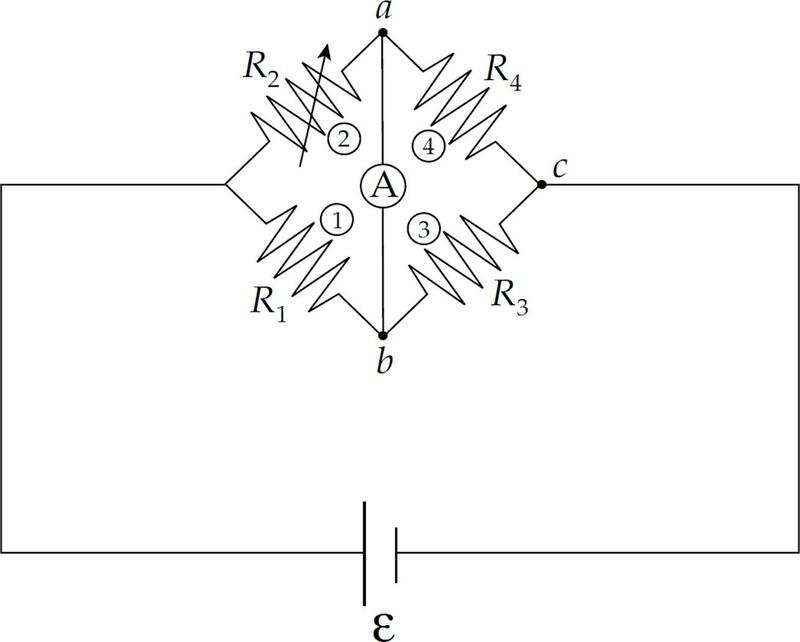 In the previous chapter, when we studied electrostatic fields, we learned that within a conductor an electrostatic field cannot be sustained; the source charges move to the surface and the conductor forms a single equipotential. We will now look at conductors within which an electric field can be sustained because a power source maintains a potential difference across the conductor, allowing charges to continually move through it. This ordered motion of charge through a conductor is called electric current. Picture a piece of metal wire. Within the metal, electrons are zooming around at speeds of about a million m/s in random directions, colliding with other electrons and positive ions in the lattice. This constitutes charge in motion, but it doesn’t constitute net movement of charge, because the electrons move randomly. If there’s no net motion of charge, there’s no current. However, if we were to create a potential difference between the ends of the wire, meaning if we set up an electric field, the electrons would experience an electric force, and they would start to drift through the wire. This is current. Although the electric field would travel through the wire at nearly the speed of light, the electrons themselves would still have to make their way through a crowd of atoms and other free electrons, so their drift speed, vd, would be relatively slow: on the order of a millimeter per second. Because current is charge per unit time, it’s expressed in coulombs per second. One coulomb per second is an ampere (abbreviated as A), or amp. So 1 C/s = 1 A. Although the charge carriers that constitute the current within a metal are electrons, the direction of the current is taken to be the direction in which positive charge carriers would move. So, if the conduction electrons drift to the right, we’d say the current points toward the left. This is known as Ohm’s Law. 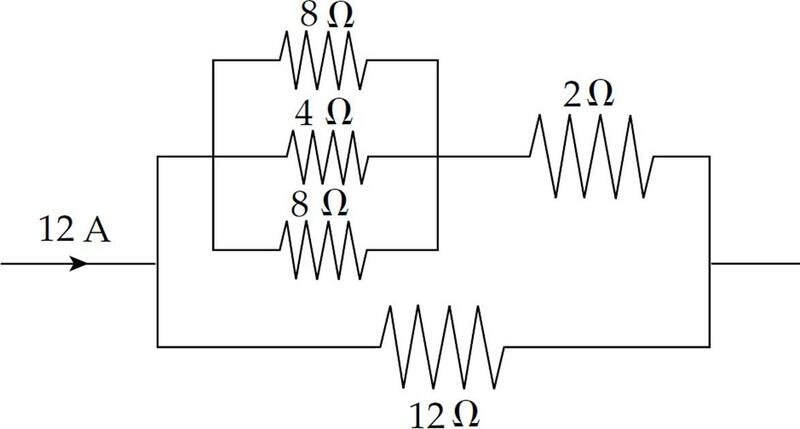 Ohm’s Law is not a “law” in the sense that all circuit elements follow it. Only certain conductors do, and these devices are called “ohmic.” Devices for which the ratio ΔV/I is not constant are called “non-ohmic.” A light bulb is an example of a non-ohmic device. Notice that if the current is large, the resistance is low, and if the current is small, then resistance is high. The Δ in the equation above is often omitted, but you should always assume that, in this context, V = ΔV = potential difference, also called voltage. 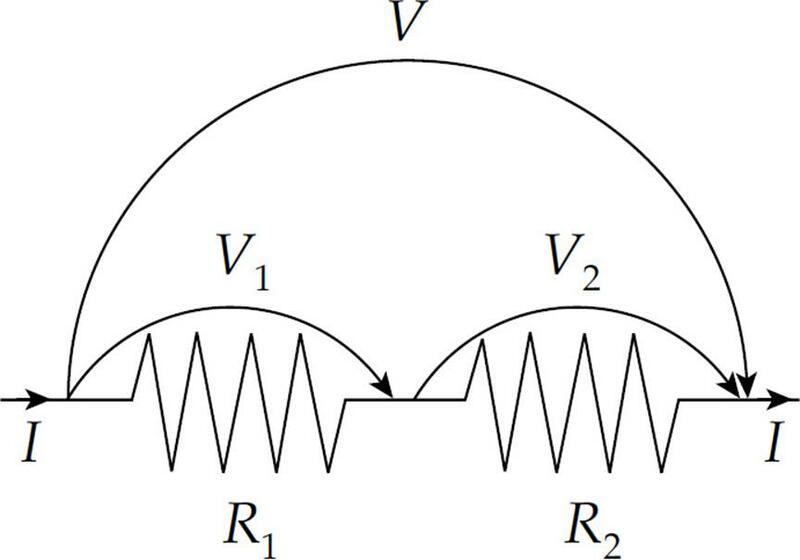 Because resistance is voltage divided by current, it is expressed in volts per amp. 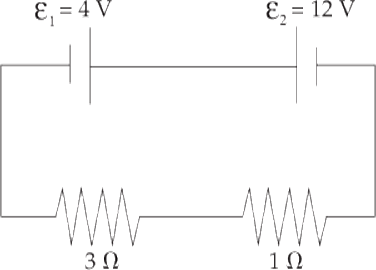 One volt per amp is one ohm (Ω, omega). So, 1 V/A = 1 Ω. The resistivity of copper is around 10–8 Ω·m, while the resistivity of glass is much greater, around 1012 Ω·m. 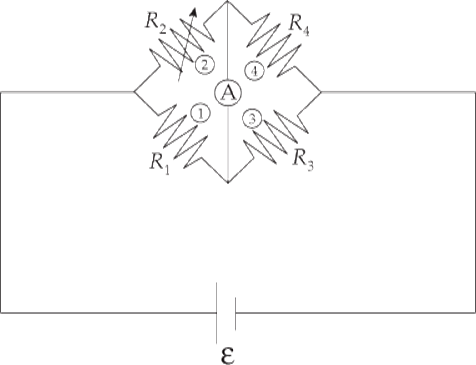 Example 1 A cylindrical wire of radius 1 mm and length 2 m is made of platinum (resistivity = 1 × 10–7 Ω·m). If a voltage of 9 V is applied between the ends of the wire, what will be the resulting current? An electric current is maintained when the terminals of a voltage source (a battery, for example) are connected by a conducting pathway in what’s called a circuit. If the current always travels in the same direction through the pathway, it’s called a direct current. The job of the voltage source is to provide a potential difference called an emf, or electromotive force, which drives the flow of charge. The emf isn’t really a force; it’s the work done per unit charge and it’s measured in volts. 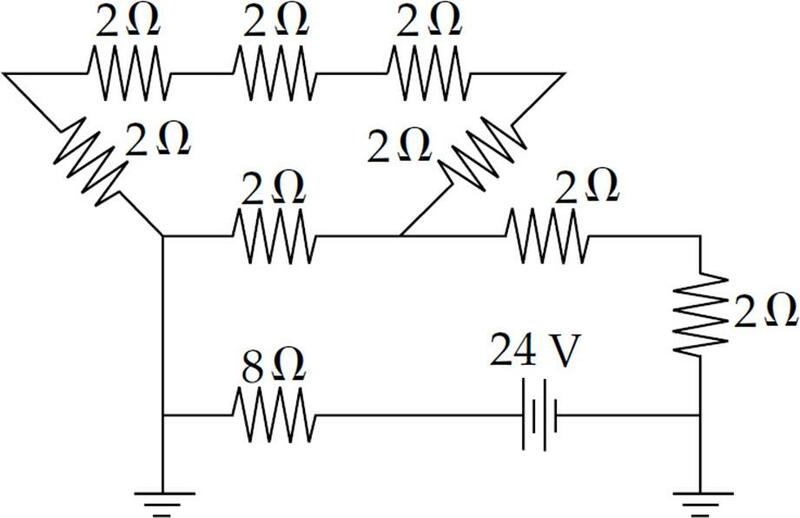 To try to imagine what’s happening in a circuit in which a steady-state current is maintained, let’s follow one of the charge carriers that’s drifting through the pathway. (Remember we’re pretending that the charge carriers are positive.) The charge is introduced by the positive terminal of the battery and enters the wire, where it’s pushed by the electric field. It encounters resistance, bumping into the relatively stationary atoms that make up the metal’s lattice and setting them into greater motion. So the electrical potential energy that the charge had when it left the battery is turning into heat. By the time the charge reaches the negative terminal, all of its original electrical potential energy is lost. In order to keep the current going, the voltage source must do positive work on the charge, forcing it to move from the negative terminal toward the positive terminal. The charge is now ready to make another journey around the circuit. Resistors become hot when current passes through them; the thermal energy generated is called joule heat. In order to simplify the circuit, our goal is to find the equivalent resistance of combinations. Resistors are said to be in series if they all share the same current and if the total voltage drop across them is equal to the sum of the individual voltage drops. 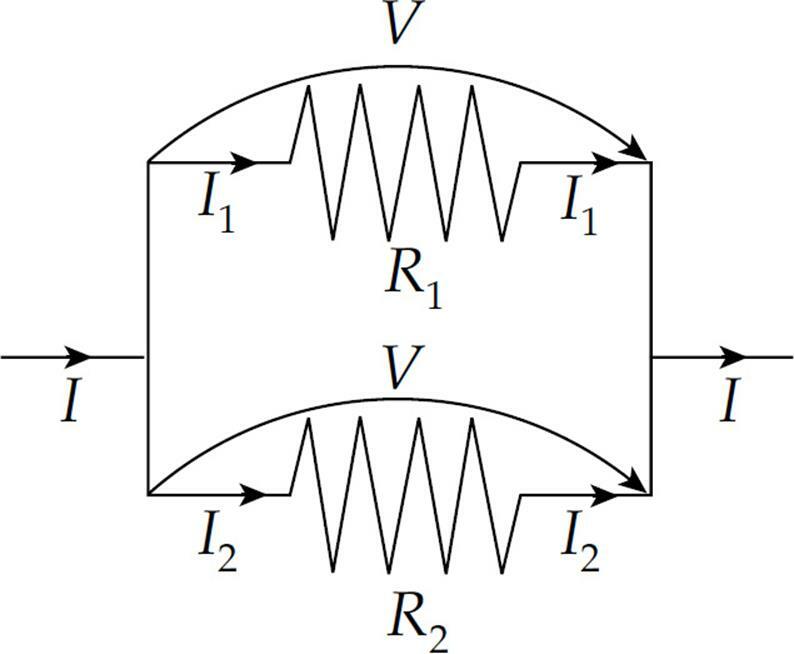 Resistors are said to be in parallel if they all share the same voltage drop, and the total current entering the combination is split among the resistors. Imagine that a current I enters the combination. It splits; some of the current, I1, would go through R1, and the remainder, I2, would go through R2. 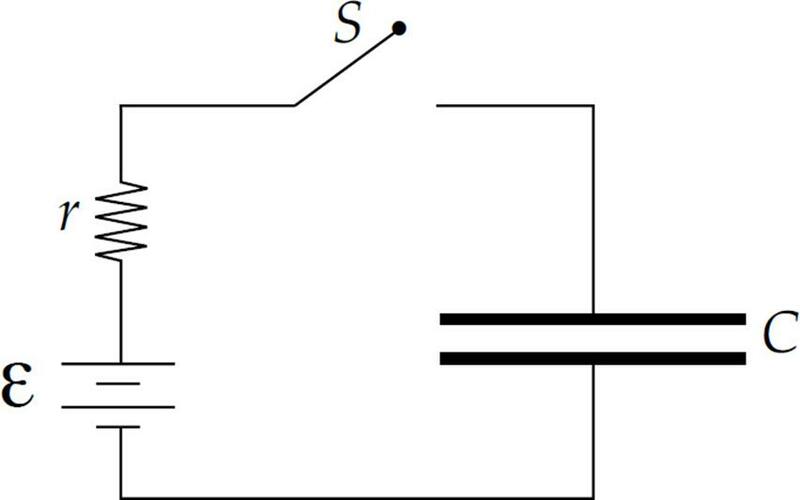 This resistance is in series with the 4 Ω resistor, so the overall equivalent resistance in the circuit is R = 4 Ω + 2 Ω = 6 Ω. Now we can work our way back to the original circuit (Diagram ). In going from to , we are going back to a series combination, and what do resistors in series share? That’s right, the same current. So, we take the current, I = 2 A, back to Diagram . 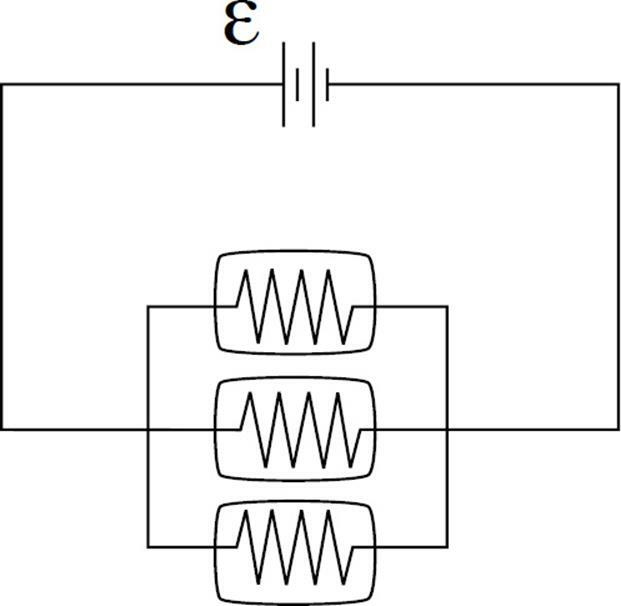 The current through each resistor in Diagram is 2 A. Since we know the current through each resistor, we can figure out the voltage drop across each resistor using the equation V = IR. The voltage drop across the 4 Ω resistor is (2 A)(4 Ω) = 8 V, and the voltage drop across the 2 Ω resistor is (2 A)(2 Ω) = 4 V. Notice that the total voltage drop across the two resistors is 8 V + 4 V = 12 V, which matches the emf of the battery, which is to be expected. Now for the last step; going from diagram back to diagram . Nothing needs to be done with the 4 Ω resistor; nothing about it changes in going from diagram to , but the 2 Ω resistor in diagram goes back to the parallel combination. And what do resistors in parallel share? The same voltage drop. 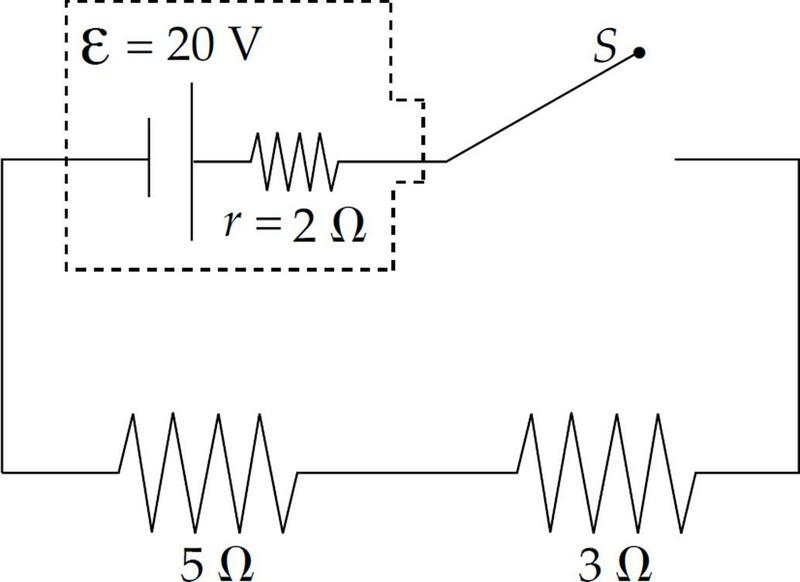 So we take the voltage drop, V = 4 V, back to diagram . The voltage drop across each of the two parallel resistors in diagram is 4 V.
Since we know the voltage drop across each resistor, we can figure out the current through each resistor by using the equation I = V/R. 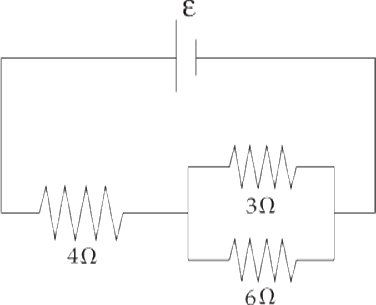 The current through the 3 Ω resistor is (4 V)/(3 Ω) = A, and the current through the 6 Ω resistor is (4 V)/(6 Ω) = A. Note that the current entering the parallel combination (2 A) equals the total current passing through the individual resistors ( A + A). Again this was expected. Finally, we will calculate the power dissipated as heat by each resistor. 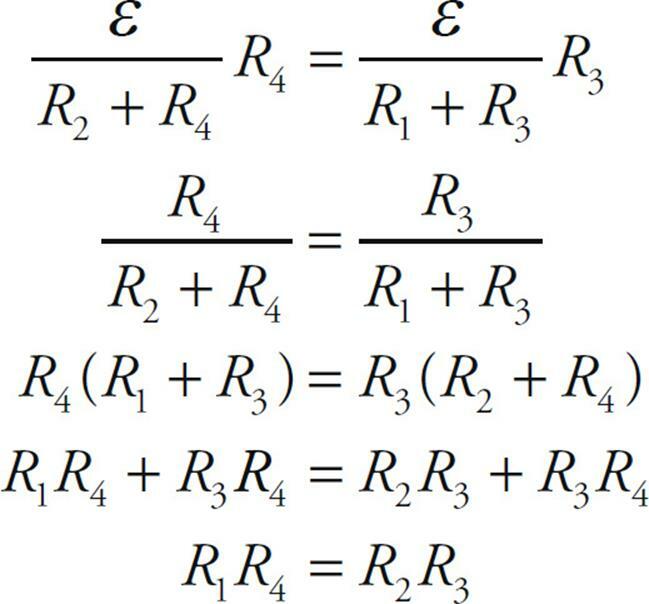 We can use any of the equivalent formulas: P = IV, P = I2R, or P = V2/R. If the resistors are dissipating a total of 24 J every second, then they must be provided with that much power. This is easy to check: P = IV = (2 A)(12 V) = 24 W.
(a) In which direction will current flow and why? (b) What’s the overall emf? (c) What’s the current in the circuit? (d) At what rate is energy consumed by, and provided to, this circuit? (a) The battery whose emf is ε1 wants to send current clockwise, while the battery whose emf is ε2 wants to send current counterclockwise. Since ε2 > ε1, the battery whose emf is ε2 is the more powerful battery, so the current will flow counterclockwise. 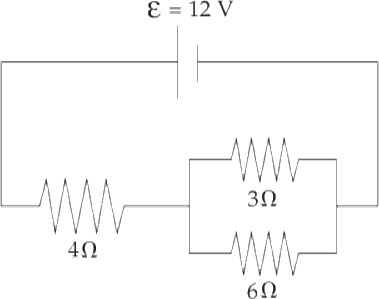 (b) Charges forced through ε1 will lose, rather than gain, 4 V of potential, so the overall emf of this circuit is ε2 – ε1 = 8 V.
(c) Since the total resistance is 3 Ω + 1 Ω = 4 Ω, the current will be I = (8 V)/(4 Ω) = 2 A. 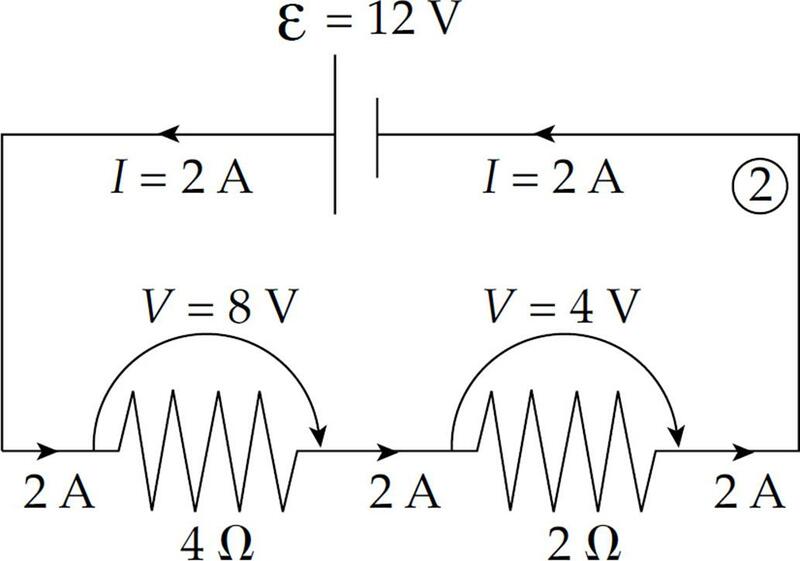 (d) ε2 will provide energy at a rate of P2 = IV2 = (2 A)(12 V) = 24 W, while ε1 will absorb at a rate of P1 = IV1 = (2 A)(4 V) = 8 W. Finally, energy will be dissipated in these resistors at a rate of I2R1 + I2R2 = (2 A)2(3 Ω) + (2 A)2(1 Ω) = 16 W. Once again, energy is conserved; the power delivered (24 W) equals the power taken (8 W + 16 W = 24 W). Example 5 All real batteries contain internal resistance, r. Determine the current in the following circuit when the switch S is closed. Solution. Before the switch is closed, there is no complete conducting pathway from the positive terminal of the battery to the negative terminal, so no current flows through the resistors. However, once the switch is closed, the resistance of the circuit is 2 Ω + 3 Ω + 5 Ω = 10 Ω, so the current in the circuit is I = (20 V)/(10 Ω) = 2 A. Often the battery and its internal resistance are enclosed in a dashed box in the shape of a battery. In this case, a distinction can be made between the emf of the battery and the actual voltage it provides once the current has begun. Since I = 2 A, the voltage drop across the internal resistance is Ir = (2 A)(2 Ω) = 4 V, so the effective voltage provided by the battery to the rest of the circuit—called the terminal voltage—is lower than the ideal emf. It is V = ε – Ir = 20n – 4 V = 16 V.
Example 6 A student has three 30 Ω resistors and an ideal 90 V battery. (A battery is ideal if it has a negligible internal resistance.) Compare the current drawn from—and the power supplied by—the battery when the resistors are arranged in parallel versus in series. and the total current is I = ε/RP = (90 V)/(10 Ω) = 9 A. (You could verify that 3 A of current would flow in each of the three branches of the combination.) The power supplied by the battery will be P = IV = (9 A)(90 V) = 810 W.
If the resistors are in series, the equivalent resistance is RS = 30 Ω + 30 Ω + 30 Ω = 90 Ω, and the current drawn is only I = ε/RS = (90 V)/(90 Ω) = 1 A. The power supplied by the battery in this case is just P = IV = (1 A)(90 V) = 90 W.
Example 7 A voltmeter is a device that’s used to measure the voltage between two points in a circuit. 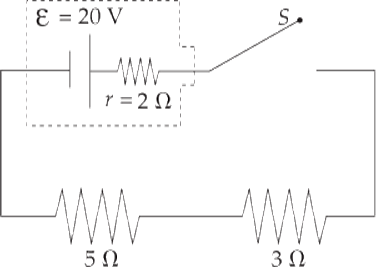 An ammeter is used to measure current. Determine the readings on the voltmeter (denoted ) and the ammeter (denoted ) in the circuit below. Solution. We consider the ammeter to be ideal; this means it has negligible resistance, so it doesn’t alter the current that it’s trying to measure. Similarly, we consider the voltmeter to have an extremely high resistance, so it draws negligible current away from the circuit. Our first goal is to find the equivalent resistance in the circuit. The 600 Ω and 300 Ω resistors are in parallel; they’re equivalent to a single 200 Ω resistor. This is in series with the battery’s internal resistance, r, and R3. The overall equivalent resistance is therefore R = 50 Ω + 200 Ω + 150 Ω = 400 Ω, so the current supplied by the battery is I = ε/R (2400 V)/(400 Ω) = 6 A. At the junction marked J, this current splits. Since R1 is twice R2, half as much current will flow through R1 as through R2; the current through R1 is I1 = 2 A, and the current through R2 is I2 = 4 A. The voltage drop across each of these resistors is I1R1 = I2R2 = 1200 V (matching voltages verify the values of currents I1 and I2). Since the ammeter is in the branch that contains R2, it will read I2 = 4 A. 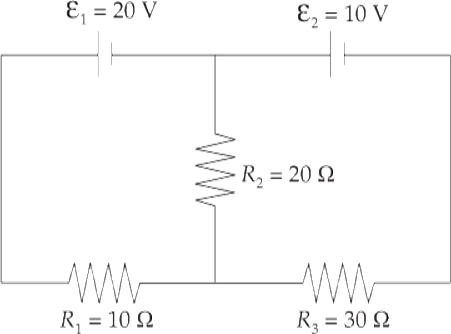 The voltmeter will read the voltage drop across R3, which is V3 = IR3 = (6 A) (150 Ω) = 900 V. So the potential at point b is 900 V lower than at point a. Ammeters measure current, and since current is the same in series, ammeters should be connected in series in a circuit. By the same logic, voltmeters measure potential, which is the same in parallel. So we connect them in parallel. 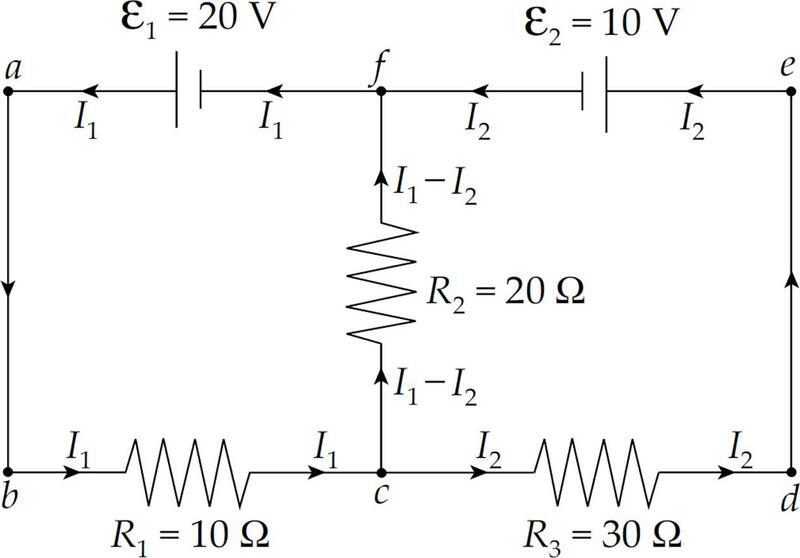 Example 8 The diagram below shows a point a at potential V = 20 V connected by a combination of resistors to a point (denoted G) that is grounded. The ground is considered to be at potential zero. If the potential at point a is maintained at 20 V, what is the current throughR3? The Loop Rule. The sum of the potential differences (positive and negative) that traverse any closed loop in a circuit must be zero. The Loop Rule just says that, starting at any point, by the time we get back to that same point by following any closed loop, we have to be back to the same potential. Therefore, the total drop in potential must equal the total rise in potential. 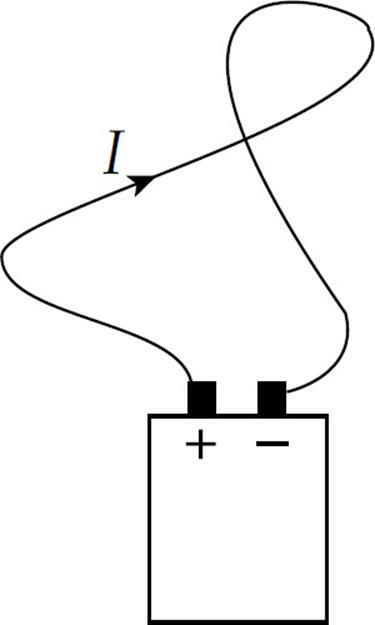 Put another way, the Loop Rule says that all the decreases in electrical potential energy (for example, caused by resistors in the direction of the current) must be balanced by all the increases in electrical potential energy (for example, caused by a source of emf from the negative to positive terminal). So the Loop Rule is basically a statement of the Law of Conservation of Energy. Similarly, the Junction Rule simply says that the charge (per unit time) that goes into a junction must equal the charge (per unit time) that comes out. This is basically a re-statement of the Law of Conservation of Charge. 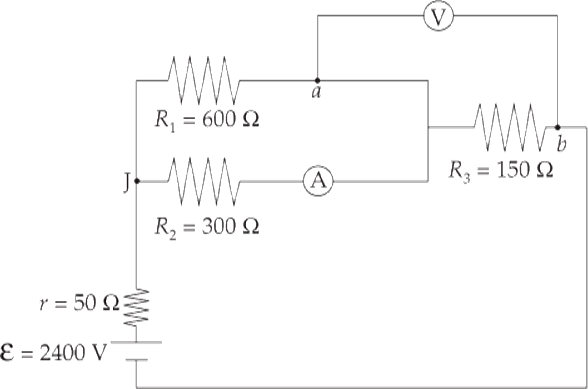 When going across a resistor in the same direction as the current, the potential drops by IR. 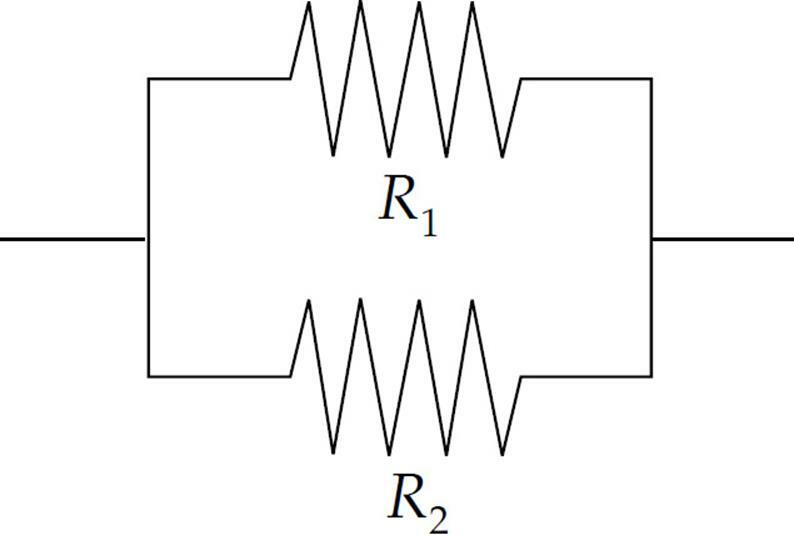 When going across a resistor in the opposite direction from the current, the potential increases by IR. When going from the negative to the positive terminal of a source of emf, the potential increases by ε. When going from the positive to the negative terminal of a source of emf, the potential decreases by ε. Solution. First let’s label some points in the circuit. The points c and f are junctions (nodes). We have two nodes and three branches: one branch is fabc, another branch is cdef, and the third branch is cf. Each branch has one current throughout. If we label the current in fabc I1 and the current in branch cdef I2 (with the directions as shown in the diagram below), then the current in branch cf must be I1 – I2, by the Junction Rule: I1 comes into c, and a total of I2 + (I1 – I) = I1 comes out. So the current through R2 is I1 – I2 = A = 0.64 A. The choice of directions of the currents at the beginning of the solution was arbitrary. Don’t worry about trying to guess the actual direction of the current in a particular branch. Just pick a direction, stick with it, and obey the Junction Rule. At the end, when you solve for the values of the branch current, a negative value will alert you that the direction of the current is actually opposite to the direction you originally chose for it in your diagram. Example 10 In the circuit diagram below, Resistors and have fixed resistances (R1 and R3, respectively), which are known. Resistor is a variable (or adjustable) resistor, and the resistance of Resistor is unknown. By knowing R1, R2, and R3, we can solve for the unknown resistance: R4 = R2R3/R1. Capacitors are typically charged by batteries. Once the switch in the diagram on the left is closed, electrons are attracted to the positive terminal of the battery and leave the top plate of the capacitor. Electrons also accumulate on the bottom plate of the capacitor, and this continues until the voltage across the capacitor plates matches the emf of the battery. When this condition is reached, the current stops and the capacitor is fully charged. When a battery is hooked up to an uncharged capacitor and current begins to flow, the current is not constant. So far, we have assumed that the currents in our circuits have been constant, but RC circuits are different. We will solve for Q(t) using separation of variables. 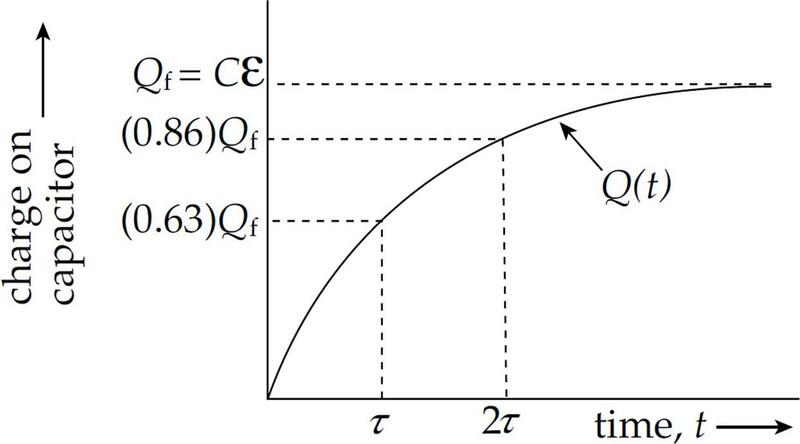 This gives us an equation, q(t), for how the charge on the capacitor changes over time. When the switch is closed (time t = 0), the voltage across the capacitor is V0 = Q0/C, so V0 – IR = 0, and the initial current in the circuit is I0 = V0/R. But as time passes, charge leaks off the capacitor and its voltage decreases, which causes the current to decrease. Example 11 In the circuit below, ε = 20 V, R = 1000Ω, and C = 2 mF. If the capacitor is initially uncharged, how long will it take (after the switch S is closed) for the capacitor to be 99% charged? 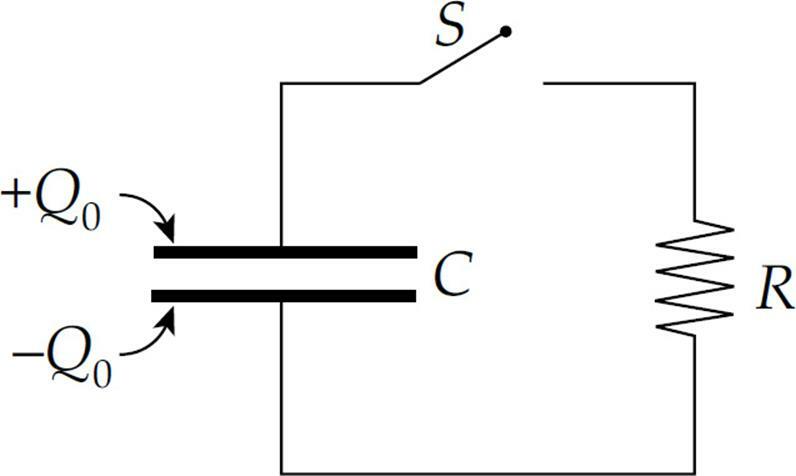 the time required is (4.6)τ = (4.6)(2 s) = 9.2 s.
Capacitors 1 and 2, of capacitance C1 = 6 µF and C2 = 24 µF, respectively, are connected in a circuit as shown above with a resistor of resistance R = 20 Ω and two switches. Capacitor 1 is initially charged to a voltage Vo = 30 V, and capacitor 2 is initially uncharged. Both of the switches S are then closed simultaneously. 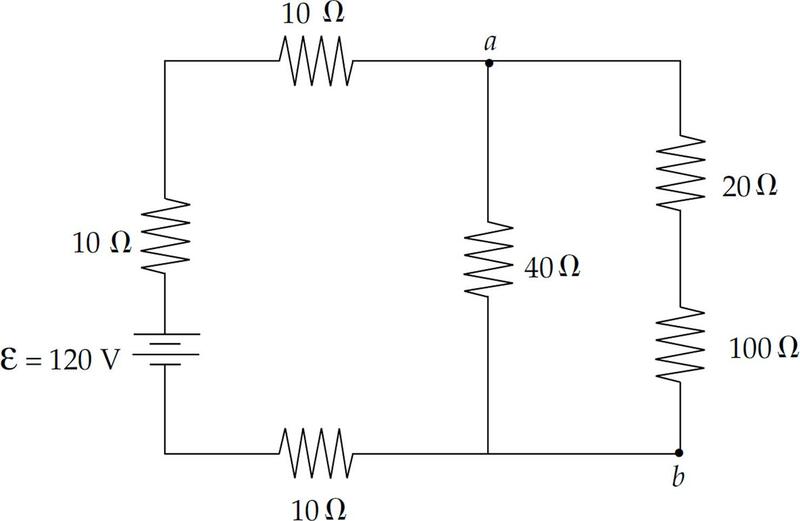 (a) What is the initial current in the circuit? (b) What are the final charges on each of the capacitors 1 and 2 after equilibrium has been reached? 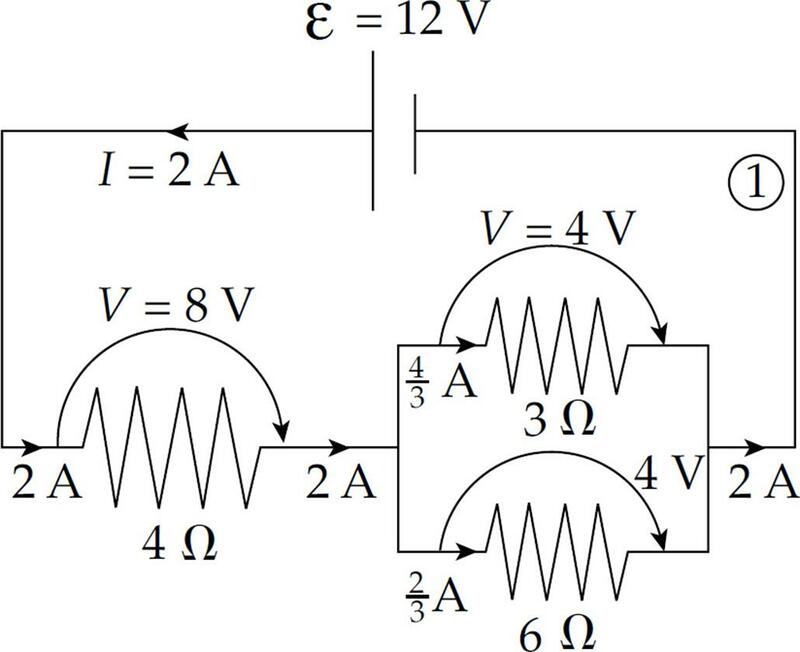 (a) Use Ohm’s Law to solve for the initial current. The voltage will decrease with time, but the initial voltage is 30 V.
(b) The initial charge stored on Capacitor 1 is Q = CV = (6)(30) = 180 µC. This charge will redistribute until equilibrium is reached and both capacitors have the same potential difference across them. Rearrange , to solve for the potential difference across each capacitor: . 4. A battery whose emf is 40 V has an internal resistance of 5 Ω. If this battery is connected to a 15 Ω resistor R, what will the voltage drop across R be? 5. 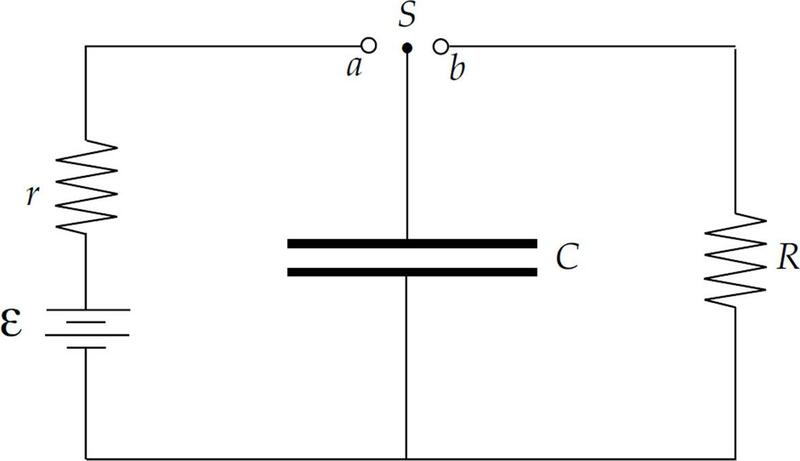 Determine the equivalent resistance between points a and b in the figure above. 6. Three identical light bulbs are connected to a source of emf, as shown in the diagram above. What will happen if the middle bulb burns out? (A) All the bulbs will go out. (B) The light intensity of the other two bulbs will decrease (but they won’t go out). (C) The light intensity of the other two bulbs will increase. (D) The light intensity of the other two bulbs will remain the same. 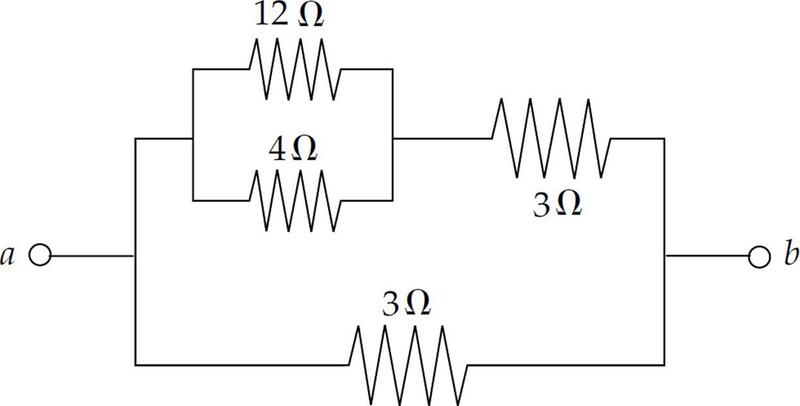 (E) More current will be drawn from the source of emf. 7. 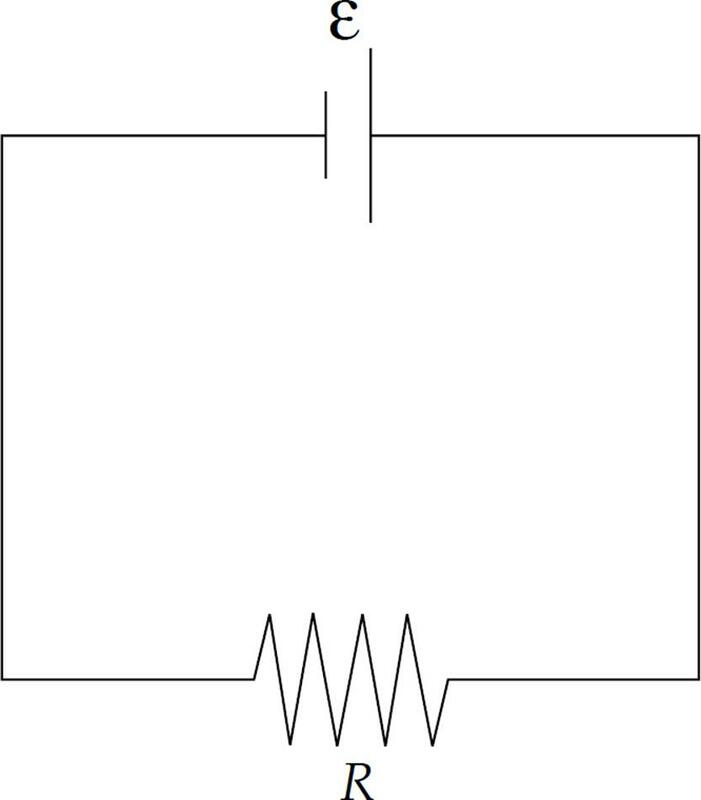 What is the voltage drop across the 12-ohm resistor in the portion of the circuit shown above? 8. 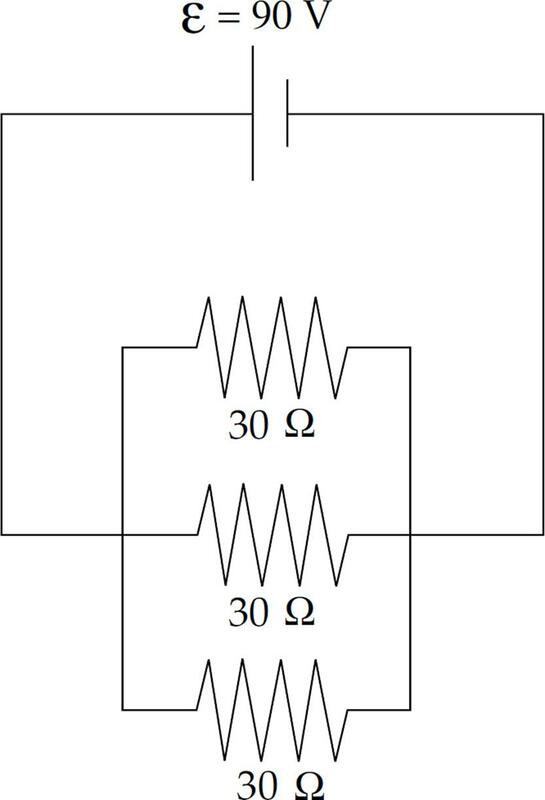 What is the current through the 8-ohm resistor in the circuit shown above? 9. How much energy is dissipated as heat in 20 s by a 100 Ω resistor that carries a current of 0.5 A? 10. What is the time constant for the circuit above? (a) At what rate does the battery deliver energy to the circuit? 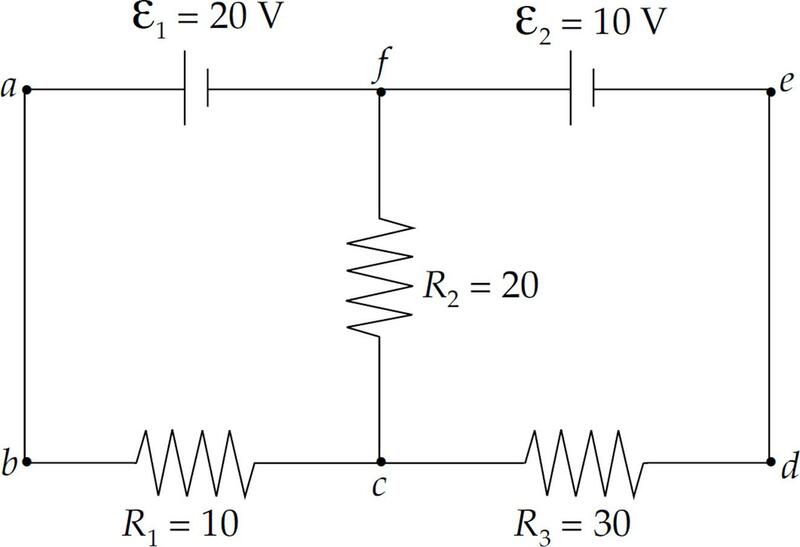 (b) Find the current through the 20 Ω resistor. (c) (i) Determine the potential difference between points a and b. (ii) At which of these two points is the potential higher? (d) Find the energy dissipated by the 100 Ω resistor in 10 s.
(e) Given that the 100 Ω resistor is a solid cylinder that’s 4 cm long, composed of a material whose resistivity is 0.45 Ω·m, determine its radius. 2. 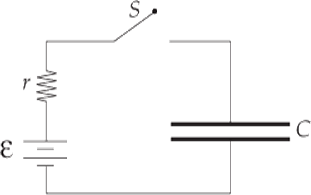 The diagram below shows an uncharged capacitor, two resistors, and a battery whose emf is ε. The switch S is turned to point a at time t = 0. (a) Determine the current through r at time t = 0. (b) Compute the time required for the charge on the capacitor to reach one-half its final value. (c) When the capacitor is fully charged, which plate is positively charged? 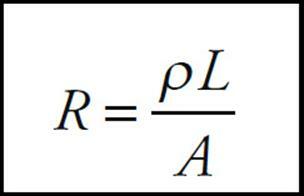 (d) Determine the electrical potential energy stored in the capacitor when the current through r is zero. 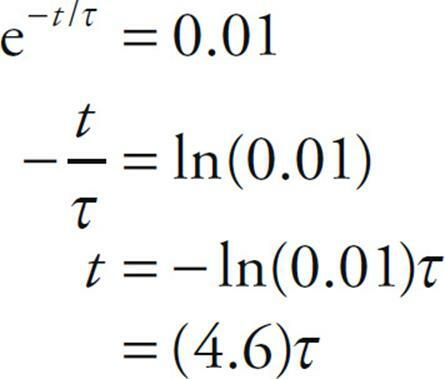 When the current through r is zero, the switch S is then moved to Point b; for the following parts, consider this event time t = 0. (e) Determine the current through R as a function of time. 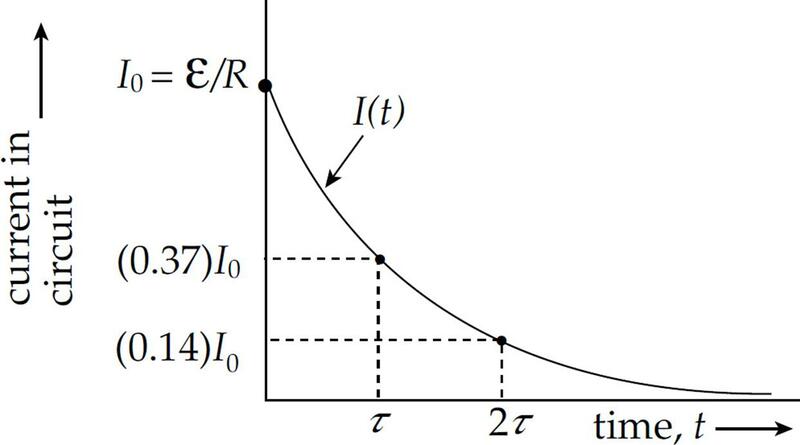 (f) Find the power dissipated in R as a function of time. 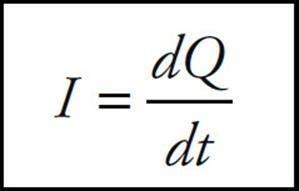 (g) Determine the total amount of energy dissipated as heat by R.
Current is the flow rate of charge: . The units are amps (A). The resistance of length of material depends on the resistivity, length, and cross-sectional area: . The units of resistance are ohms (Ω). 2. The Junction (Node) Rule. The total current that enters a junction must equal the total current that leaves the junction. When a battery is connected to a resistor and uncharged capacitors in a circuit, the charge builds up on the capacitor exponentially. This is due to the fact that as more charge is added to the capacitor it becomes more difficult for additional charge to be added. 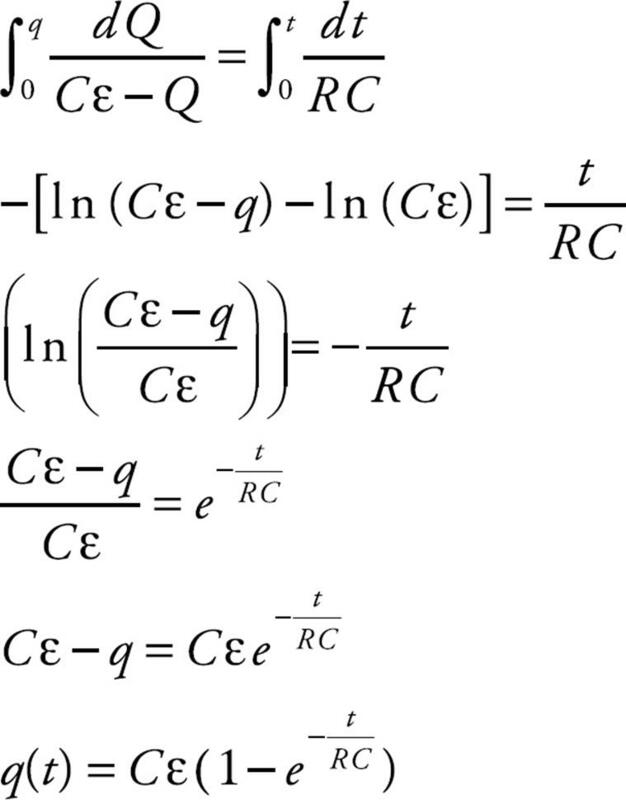 The equation for the charge buildup is . During this time the current is decreasing exponentially because the capacitor is acting like an opposing battery as it charges up. The equation for the current is .